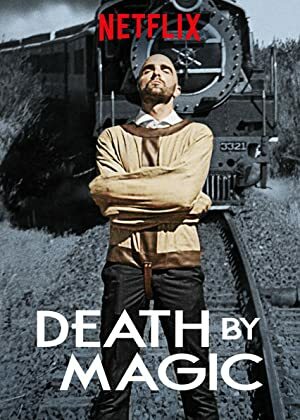 Death by Magic – Season 1 (2018) – What's New on Netflix Canada Today! Magician Drummond Money-Coutts travels the globe, sharing his infectious love of his craft and attempting feats that proved fatal to other magicians. He travels the world to track down where the fatal performances took place and to work out exactly what went wrong, sharing his magic with the people he meets along the way. It’s a journey that spans four continents and eight cities around the world. His aim is to pay homage to the craft by creating his own updated versions of the stunts that cost these magicians their lives, from being buried alive under tons of wet concrete, to playing a game of Russian roulette, to escaping from a collision with a speeding steam train. The series will follow DMC as he recreates the stunts where others have failed, in the most extreme magic show ever attempted. To succeed he must avoid the fate that met those who came before him and paid the ultimate price: Death by Magic.